The hard-working development team led by W1HKJ have announced the release of Flrig v1.3.30. Flrig is a transceiver control program designed to be used either stand alone or as an adjunct to Fldigi. 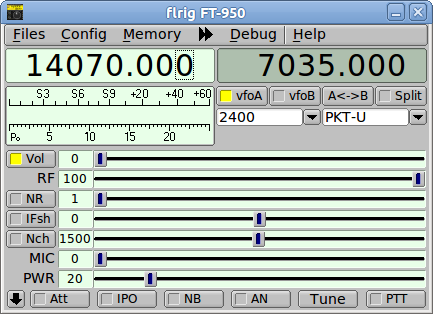 This version of Flrig is a minor maintenance release with a fixes to FT857 and FT897 radios. Full details are available in the ReadMe file available for download and below this announcement. remove FT817 base class dependency from both FT857D and FT897D class definitions.